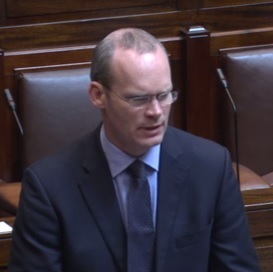 Confirmation last week by the Minister for Agriculture, Simon Coveney that he will not be getting involved in proposed investment by ABP in Slaney Meats has been heavily criticised by the IFA. IFA National Livestock Chairman Henry Burns said it is ‘incredible‘ that the Minister for Agriculture Simon Coveney believes he has no role to play and ‘cannot get involved in’ both the specific deal and the lack of competition in the beef sector. Burns said the Competition and Consumer Protection Authority has told IFA that there is nothing stopping Minister Coveney from having a view on the proposed merger and making a submission to the Authority on the matter. He said IFA has called on Minister Coveney and the Government to make a submission to the CCPA on the investment, and particularly on the importance of protecting and guaranteeing competition in the processing and rendering sectors. The IFA Livestock Leader said cattle farmers cannot understand why the Minister is adopting such a detached policy on this critically important matter on competition. “Livestock farmers have real fears and concerns around competition and dominance in beef processing as well as rendering in the sale of the Allen family 50% share of the Slaney/ICM business to ABP. This investment would give ABP effective control on up to 29% of the beef kill and three of the six rendering plants in the country. “Sheep farmers are equally concerned over competition and dominance in lamb processing with the ABP investment in Irish Country Meats (ICM). ICM currently has up to 40% of the lamb kill and lamb processing also needs more competition,” he said. Speaking in the Dail last week, Minister Coveney said that there is a State body that has a legal obligation to assess these things properly and make informed choices. “We will work with the system. If the Competition Authority asks for our opinion on anything we will obviously give full details of our views from a policy viewpoint,” he said. However, he also stressed that there are ‘dangers’ with Ministers getting involved in trying to impact on mergers.